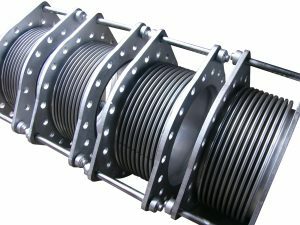 Expansion joints are employed in piping systems to absorb different thermal expansion while containing the system pressure. They are successfully utilised in refineries, chemical plants, fossil and nuclear systems, heating and cooling systems, and cryogenic plants. Any pipe connecting two points is subject to numerous types of action which result in stresses on the pipe. The stress on the wall of piping is related to the force or movement exerted on it by external resistance and the flexibility of the pipe itself. When either the value of the stresses or the value of the external forces or movements exceeds the maximum allowable value(s), the flexibility of the pipe must be increased artificially. This can be done either by altering the layout of the pipe or by inserting high flexibility sections. This is precisely the function of expansion joints. 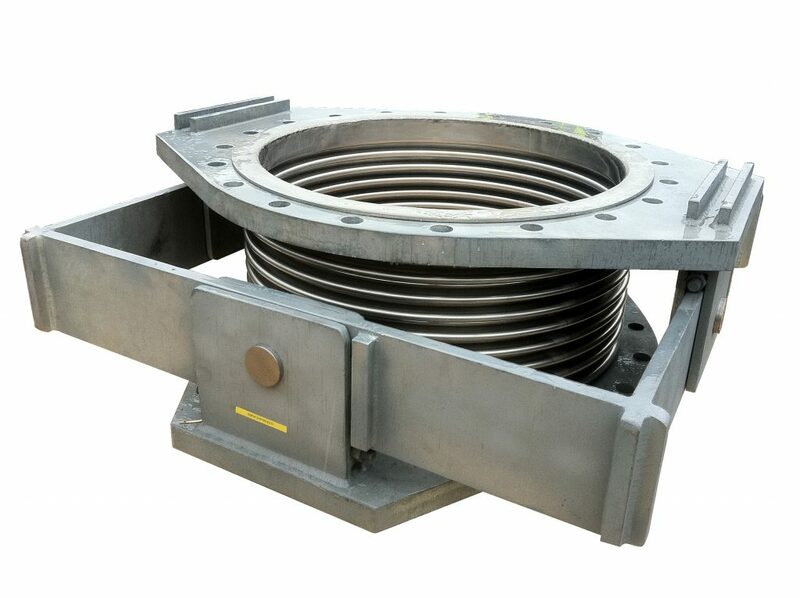 Pacific Hoseflex has a variety of different size expansion joints available from 50 mm to 5000 mm in diameter, with working pressures up to 10,000 kpa. Consideration must be taken into account when elevated temperatures are involved. They reduce both rated movement for a given life cycle and pressure capabilities of the expansion joint. Bellows operate best at normal pressure ratings temperatures between 70° C to 80° C. The austenitic range of stainless steel is susceptible to high stresses in the presence of corrosive agents, such as chlorides, caustic alkalis, hydrogen sulfide and nitrates. This is the anticipated number of complete expansions and contractions that a bellow can accommodate in its working life. This is an important consideration with bellow design. This consideration is to ensure the correct balance between the pressure containing characteristics and the movement. After installation, any change to any of these factors will impact upon the cycle life.